Wilhelm “Bill” Hoppe, the European-trained chef, who transformed the Central Coast restaurant experience, died Sunday night at his home. 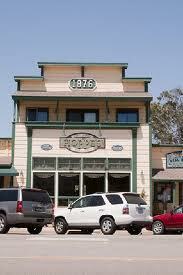 Hoppe opened his first restaurant Hoppe’s on the Embarcadero in Morro Bay in the mid-1980’s. 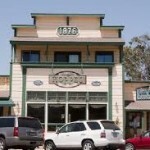 He later moved the popular restaurant north to Cayucos where it became known as Hoppe’s Garden Bistro and Wine Shop. Hoppe’s 901 was a top notch place, probably one of the best restaurants that ever opened in SLO county. Bill was a wonderful guy and a great chef. He was a chefs chef and was always willing to help out his fellow culinarians. He, however, was not “the first chef” on the Central Coast. There were a few others in and around the Central Coast that were equally well trained. I participated in a benefit at the Embassy Suites for familys of the Windows of the World Restaurant that were killed by the 911 attackers. At that event there were quite a few great chefs from around the area, one being Bob Winnick the names of the others escape me. None the less it is sad to learn of his passing he was good friend! I agree with knows it, especially with regard to Joe Rizzo. I was born here in 1972 and have great memories of excellent chefs here on the central coast. Calling him the first is totally not accurate. Give the man respect where it is due folks. He was definitely one of the first great chefs on the Central Coast. I remember wine make dinners back at Embassy Suites where i was a waiter running trays of food from Rodney, Hoppe, Winnick and McPhee. This was back in the days where there were no weekly wine maker dinners like there is now. He was part of the original fraternity and an integral one at that. Being around these guys back in the day was definitely a culinary experience. Paperboy: I admit that what we posted wasn’t much, but everything here is accurate: (1) Mr. Hoppe died at his home Sunday night (2) Many consider him to be the first real “chef” on the Central Coast (3) He opened his first restaurant in Morro Bay on the Embarcadero in the mid-1980s. (4) He later opened a new place in Cayucos. (5) Ms. Hardesty is quoted accurately and entitled to her opinion. The true shame is that no one else in the local media is even mentioning Bill’s passing. At least we’re trying to get the word out. Bill Hoppe was a chef’s chef who did his own thing and did it well. How fortunate are we for Bill to have contributed his expertise to represent and draw many to the Central Coast. You guys need to do some fact checking. Hoppe’s first restaurant was called Hoppe’s 901. He then helped open Windows on the Water (at Marina Square) and ran it for a few years before having a fallout with his partners (a real soap opera that was). That was when he got the old Weigh Station in Cayucos and opened the Bistro. That said, he was a cool dude and a fantastic chef but I can’t imagine he was the “fist” in SLO County, after all who’s been cooking at 1865, Olde Port Inn and Madonna Inn all these years? My condolences to his family and friends he will be missed. There are those who cook for a living, professional cooks and then there are European trained Chefs, not only those with cooking academy certificates but those whose true passion is cooking, who have an amazing palate and sense of balance with all aspects of food preparation. There is a difference. We had been enjoying the “Old Cayucos Deli,” which was located in the courtyard behind Hoppe’s The turkey & smoked cheddar sandwich on foccacia bread was out of this world! Then the deli closed for a week or two recently and when it reopened it had an entirely different menu. A phone call indicated this place was owned (or had been bought) by Hoppe’s. Anyone know the scoop? We’re very sorry to learn of Bill Hoppe’s passing. Great restaurant & a good man. Bill certainly was one of the best chefs in the area-but come on. He wasn’t the first. There was Joseph Rizzo and Bob Winnick to name a few. Who’s to say that Mclintocks isn’t somewhat of a trend setter? Super premium steakhouses are really hot in the dining scene-and Mclintocks is one the pioneers nationwide. Kathy is a newcomer to the area. She always makes a “…this is the best, he/she is the best…” based on her short time here. I appreciate her passion for the wine and dine scene-but she is WAY too narrow minded if she wants to have any credibility at all. She turns her nose up at anything that doesn’t fit her snob appeal. She makes general statements as if the wine and dine scene started when she got here. In closing, Bill was certainly an excellent chef committed to fine dining. Hopefully a quality operator will step in and maintain the quality worthy of the name on the building. Upscale steakhouses are a dime a dozen, and have been for a century. It’s called grilling. I’ve had better steak on a home grille, but I’ve rarely had food as good as Hoppe’s outside of a Hoppe’s.